Cellar door is often used as an example of a phrase in the English language which sounds beautiful, with no regards to it's actual meaning. I'm not completely sure why this is, but I agree that the phrase does sound lovely. It's something about the way it rolls of the tongue. But why this phrase, of all phrases? What makes these two words so phonetically pleasing when they are put together and spoken? I first heard this phrase when I watched the movie Donnie Darko. It is an excellent movie and please do watch it if you ever get the chance. I didn't understand what the characters were on about when I first watched it. My initial thoughts were, "How random can you get?" and I probably disagreed with it being a beautiful phrase at the time. Is 'cellar door' beautiful to you? And if so, why? Words are pretty amazing things, I must say! 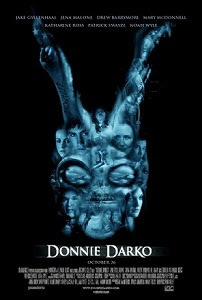 And Donnie Darko, in my opinion, is probably one of the greatest movies ever. Walking to the Shop - PUBLISHED!